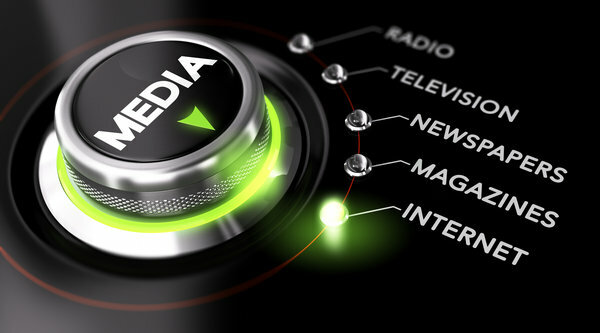 If you’re involved with developing, implementing, executing or understanding the effects of advertising campaigns, and particularly the success of a media buy or trade, then the term ‘media performance’ is something you’ll often hear in your career. So following on in our Become an Instant Expert series, we’d like to focus this post on media performance. What exactly is ‘media performance’? The biggest challenge with the term is its definition or use, in context of what is actually required. The performance, in audience reach terms, of a particular program, environment, magazine, website or any other media channel that you’ve invested in. The performance in audience reach terms of a campaign, relative to pre-campaign predictions – did the campaign ‘over deliver’ or ‘under deliver’ against expectations? An action related performance – did your media spot directly result in a consumer action. This can be anything from calling a number shown on a TV commercial, to clicking on a website banner, to visiting a website, to leaving data on that website (for example, signing up for something using your name, phone number, address) to store visitation, to making a purchase. A brand-related outcome; did the campaign drive increased brand awareness, brand equity, social media chatter? What media can be measured? The performance of media can be measured across pretty much any media channel you care to mention. The depth of measurement is greater in some channels than in others (performance of advertising on digital media channels, for example, can be measured in many ways due to the amount of data involved). However, advances in tools, research methodologies and technology means that even channels traditionally hard to truly ‘measure’ (such as outdoor billboards) now offer ever-more involved measurement capabilities. If I started trying to talk through all the permutations, measurement types, acronyms and frameworks related to these definitions, we’d be here for a very long time. Suffice it to say that a lot of very clever people spend a lot of time thinking about and applying media performance in all sorts of ways, from post-analysing individual campaigns, to building statistical models that enable performance forecasting or proportional attribution of performance (either media performance, or broader marketing performance) by channel. Media performance is important not only because advertisers can spend millions of dollars buying media, but because understanding performance is the best way to refine a media buying strategy to best effect. If you want to start understanding the real details – the difference between a GRP and a TARP; or whether CPM is a more effective form of measurement than CPC, CPL or CPA; or the benefits of multi-touch attribution modelling over a last-click approach, there are a few pieces of advice I can give you. Look up industry glossaries. Many industry bodies, such as the IAB (Interactive Advertising Bureau), the MFA (Media Federation of Australia), Mediascope or OzTAM, give you access to glossaries of terms on their websites. Ask your employer for training. If you’re in an agency, this should be immediately forthcoming; but the more enthusiasm you express, the better. If you’re on the ‘client-side’, your agency should be willing to help. Read. Read. Then read some more. This industry moves quickly. The more trade articles you can read, the better your learning. Ask questions of your team or your agency. When presented with a media trading plan or strategy, ensure that you ask how things are being measured, and why. What are some best practice hints and tips? We’ve established that media performance is complicated. And we’ve established that there are lots of sources to choose from if you want to learn more. Let’s now consider some best practice thought-starters in the area of media performance. There are many more, but as a start point, these are pretty critical. Ensure that the brief does not set you up to fail. Performance metrics and KPIs should be clearly stated, agreed in advance and appropriate to the specific commercial situation. The consumer segments you’re trying to reach should be understood in relevant depth. Try, wherever possible, to measure media performance not just in terms of volume metrics (how many people did the advert reach) but in terms of a direct customer action. This is often most applicable to digital advertising, where ad-tracking technology allows us to understand if a customer has directly reacted to the advertisement by making a purchase, looking on a website, etc. Factor in the difference between ‘quantity’ and ‘quality’ within media performance. A campaign that achieved 1 million impressions sounds great. But of those 1 million impressions, how many were viewed by different people, rather than the same person seeing your advert many times? How many of those 1 million impressions were viewed by people actually likely to buy the product, or in your target audience? How many of your advertisements were in high quality environments and at responsive times of the day? Drill down beyond ‘was my advert viewed’ to ‘how long was it viewed for’? This is another factor sitting behind top-line media performance results that we now have access to, particularly in digital advertising, but which isn’t always reported on unless you ask for it. Let’s say two people are tracked as having viewed your 30 second piece of digital advertising content. That’s two views, right? Well, yes – but what if one person watched the entire thing, whilst the other person clicked off the advert after only a few seconds? Across the entire campaign, you need to understand not just the overall views, but other metrics such as the ‘drop-off rate’ (basically, how long on average people watched before getting bored and switching off). Incidentally, the classification of ‘viewability’ (how long a piece of content has to be viewed before it is actually classed as a view) is a separate, and raging, topic of debate in our industry, related to media performance. Don’t be suckered into the ‘cheaper media equals better performance’ mentality. Traditionally, agencies have sold services in to clients, and have been required by clients to deliver, ‘cheapest possible media’ to maximise media performance. 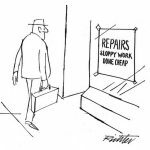 Whilst hard cost is always a factor, remember that ‘cheap’ does not always equal ‘best’. When assessing media performance, you need to be thinking about best possible value, not cheapest possible price – two very different things. Make sure that your campaigns are tracked well so that any performance shortfalls can be immediately corrected. If you have an advertisement in The Block, and The Block only attracts half of the anticipated audience, then you need to ensure that you (or your media buyers) make up this shortfall via an extra spot within the campaign period. Always ensure that media performance is credited accurately in terms of its contribution to the overall success of a campaign. Too often, agencies or even marketing teams will claim that ‘the media campaign’ was directly responsible for a business result, such as a sales uplift. Be careful with such claims, and always try and put them in context of the type of performance measurement you have in place. For example; the performance of the campaign in terms of audience reach could have been great. But you need to factor in many other variables – competitive activity, style of creative messaging, promotional activity, comparative variables such as relative change versus ‘same time last year’ (STLY). So there you have it. A basic introduction to a very involved and complex topic, summarised as succinctly as possible to make you an instant expert. From experience I can tell you that whilst it might seem dry, you can gain massive satisfaction when you’re able to generate direct and meaningful insights from your media performance results. And with millions – actually billions – of dollars at stake in media buying across the Australian market alone, the importance of holistic measurement of media performance can’t be underestimated. Has “Digital/Social” Become the Dollar Menu of the Advertising World? 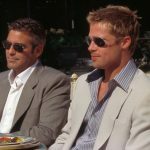 Casting George Clooney or Brad Pitt for your next television commercial? What a dilemma!